Between the impressive beach ‘La Plage des Coussoules’ and the inland lake “Etang de la Palme” which is full of flamingos, you will find the peninsula of La Franqui. Our ‘Domaine Presqu’île de la Franqui’ is named after the island. A car-free domain that is fully equipped with direct access to the beach, this is real glamping! We would like to introduce you to the concept of ‘glamping’, or glamour-camping. The geniality and nature of a campsite but with all imaginable luxury. Domaine Presqu’ile de la Franqui is a car-free domain so you can enjoy the peace and quiet with a book on your sun terrace while the children play safely. It is equipped with luxurious accommodation where nature is completely in its value. Book one of our MAJESTIC lodges with hotel service, private jacuzzi and sea view, or have a massage in our Spa while your children participate in the five-language animations. Take a dip in the pool or dine in our restaurant. Everything has been thought of to relax completely, and make your holiday unforgettable! Fully enjoy the nature through our car-free domain. You can read a book undisturbed or laze on your terrace, while the children play in complete safety. Right next to the car-free domain is our secured private parking, where you will be assigned a place for your car. If you have administrative questions, you can contact the reception every day. Why cook if we can do it for you? Our team of professionals are ready to help you enjoy gastronomy. Within our domain you will find a wellness area. Here you can enjoy the sauna, hammam, jacuzzi or make an appointment with one of our qualified staffmembers for a massage or one of the many other beauty treatments. You are on holiday and still want to stay in shape. That is no problem with us! In addition to all sports activities around the domain, we have a gym that you can use. With our five-language kids club you can be sure that your child (ren) will be received in their own language and have an unforgettable time. A unique experience during your stay? Book one of our Atypical accommodations and let us surprise you! A specialized team especially for your well-being! At the service center our staff are at your service every day to answer all your questions and ensure that nothing is missing during your stay! Discover the area by bike? On our domain you have the possibility to rent a bike and make a tour. There is a horse ranch right next to the property. Would you like to discover the environment in a different way? This can be done by reserving one of the outdoor rides on horseback! At our laundry you have the possibility to use washing machines, tumble dryers and an iron / ironing board. Wi-Fi is available throughout the site. Your pet is welcome on our domain if it is vaccinated. Dogs of category 1 & 2 are unfortunately not allowed. You have the possibility to rent bed and bath linen during your stay with us. A special camper van service area is at your disposal for emptying and cleaning your chemical toilet and waste water tank. You can also fill your water tank here with drinking-water. 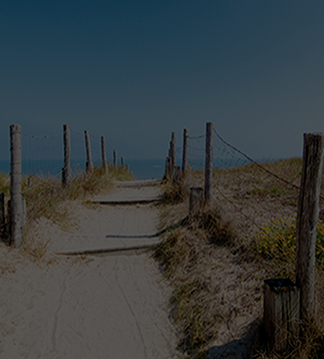 With the beach of La Franqui classified as the 4th most beautiful beach in France and known as one of the best kitesurf, windsurf and blowkart spots in the world, there is something for everyone. 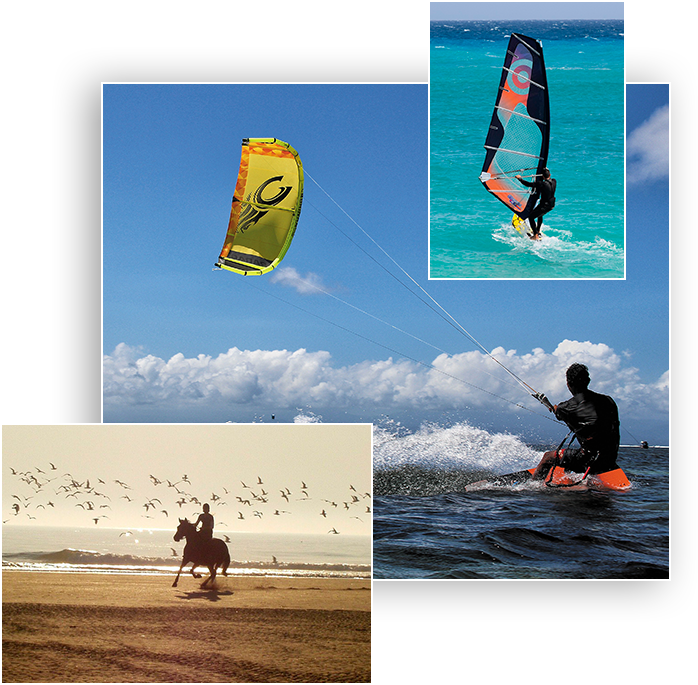 Enjoy the sun on the beautiful beach or book a lesson with one of our partners and discover windsurfing, kite surfing or blow karting. Discover the beach another way? Take a horse ride with the riding school next to the domain.